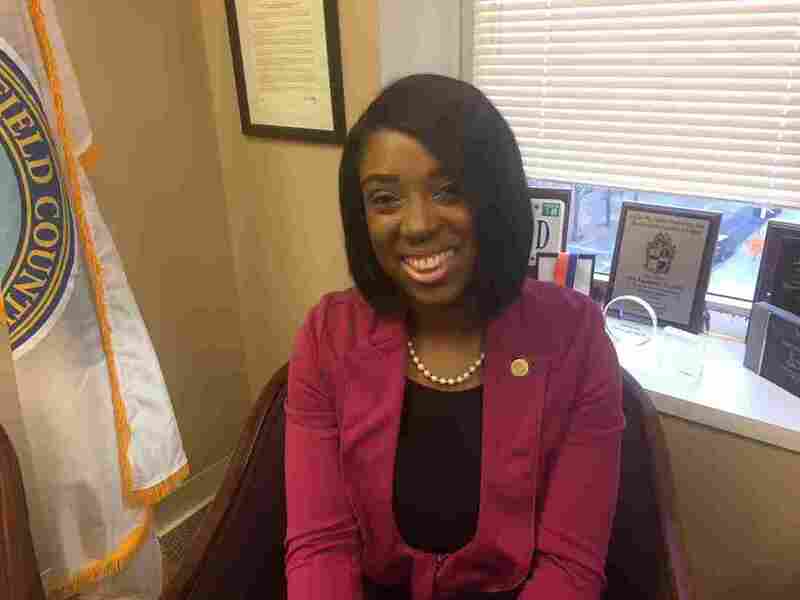 Virginia Democrats Now Look To Women Of Color For Leadership The recent controversies embroiling some of Virginia's top Democratic officials have the party reconsidering their leadership. 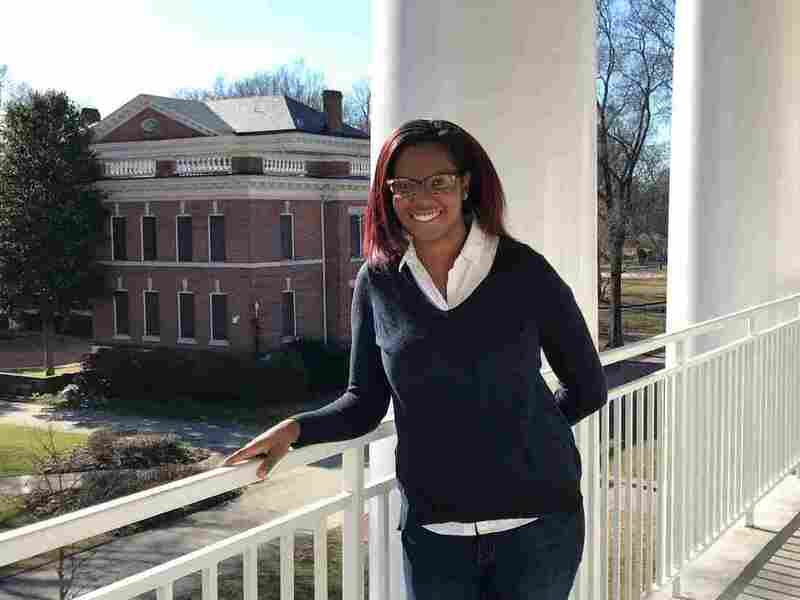 Alexsis Rodgers, president of Virginia Young Democrats, is one of the disappointed constituents who worked hard to elect some of the officials at the center of the Virginia controversies. Now, Rodgers says, the state Democratic Party must develop diverse leaders before there's another crisis. When you talk to Virginia Democrats these days, you hear a lot of words like "disappointing" and "frustrating." That's because the men at the top of state government — and at the center of these scandals — have been well-liked by a lot of people who worked hard to help elect them. "It really is kind of a hard thing to reckon with — some of your heroes either causing embarrassment or shame or disappointment or anger," said Alexsis Rodgers, president of Virginia Young Democrats. Rodgers said many local activists have been looking to her for support and advice since the now infamous photo emerged two weeks ago from Virginia Gov. Ralph Northam's medical school yearbook — depicting one person in blackface and another in a KKK robe. Northam has said he was not in that photo but that he did appear in blackface as part of a costume around the same time. He has apologized and asked for time to begin a dialogue on race. Since then, two women have come forward with accusations of sexual assault against Lt. Gov. Justin Fairfax — a young African-American rising star in the Democratic Party. Fairfax denies the allegations and has called for an investigation. Despite widespread calls by Democratic leaders for both men to step down, Northam and Fairfax are holding on, putting Virginia Democrats under a cloud as they try to wrap up the legislative session and prepare for state House and Senate elections this fall. The third top official, Attorney Gen. Mark Herring, also recently came forward to apologize for wearing blackface at a party in 1980. It's a lot for young Democratic activists to take in, Rodgers said. They've been calling her, asking, "How do I lead my chapter? How do I lead my friend group and the folks that I convinced to vote for the first time, or to vote for a Democrat for the first time, what do we do now?" This is an opportunity as well for us to take a hard look at why do we not have more people of color in elected statewide office. Why do we not have more black women in statewide office? One answer on many Democrats' lips is that this is a time to re-examine who is leading the state and the party. "This is an opportunity as well for us to take a hard look at why do we not have more people of color in elected statewide office," said state Del. Lashrecse Aird. "Why do we not have more black women in statewide office?" Aird is a member of the Virginia Legislative Black Caucus and the state Democratic Party's steering committee, both of which have called on Northam and Fairfax to step down. State Del. Lashrecse Aird, a member of the Virginia Legislative Black Caucus and the state Democratic Party's steering committee, thinks it's time to re-examine who is leading the state and the party. These questions are especially pressing for Virginia Democrats in a year when they hope to expand on historic gains made in the 2017 elections. Democrats came close to taking control of the state House of Delegates, in large part owing to a wave of Democratic women who ran and organized following the 2016 election. But women and people of color remain underrepresented in the Legislature and in statewide office. The events of the past two weeks have sparked difficult conversations in Democratic circles about how to move forward, exposing divisions along lines of age, race and gender. "It is hard to hear that we stand for women, and we stand for racial equity, when there are mixed messages coming from the leadership of the party," said Del. Marcia Price, the secretary for the Virginia Legislative Black Caucus. Del. 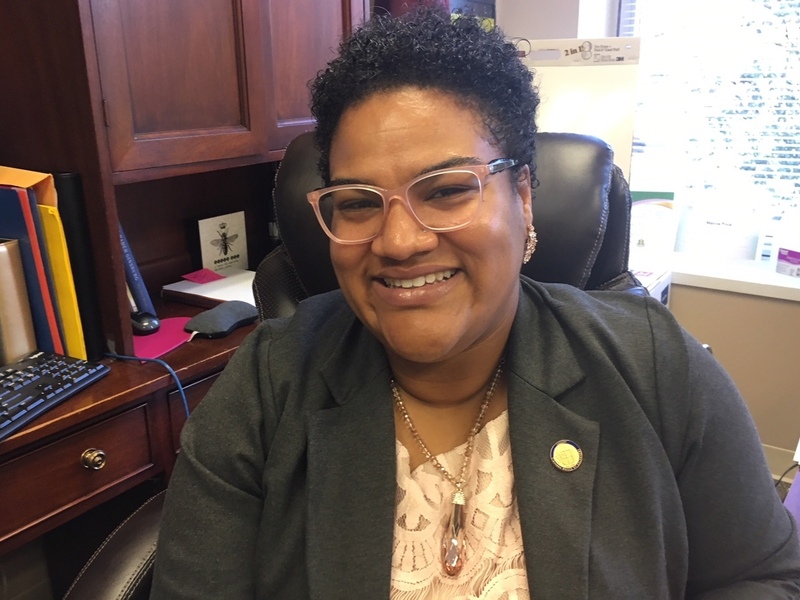 Marcia Price, the secretary for the Virginia Legislative Black Caucus, says the leadership of the Democratic Party is sending mixed signals to its constituents about where they stand on racial equity and women's issues. Price said black women are touched by all of those issues and should be at the center of these discussions. "I really think it's an important time to amplify the voices of black women, because we have the perspective where all of these things are hitting," she said. Have they relied on black women to vote? Absolutely. But have we always been in leadership? Not so much. Rodgers, with Virginia Young Democrats, said the party must develop diverse leaders well before there's another crisis. "The historic Democratic Party has not been a place for people that look like me when it comes to leadership positions," Rodgers said. "Have they relied on black women to vote? Absolutely. But have we always been in leadership? Not so much." Rodgers says diversifying the party leadership will require systems that are accessible to a wider range of people, starting with things like paid internships with campaigns and legislative offices. There are multiple efforts underway by progressive groups to encourage more women and people of color to enter politics. The current scandals in Virginia appear to be accelerating those efforts, says Julie Copeland of Emerge Virginia, which recruits and trains Democratic women to run for office. "I'm hearing on social media, and in phone calls and emails, from across the country, from national donors who want to raise money," Copeland said. "They say, 'Women are the answer,' or 'We wouldn't be in this place if women were in charge.' "
Copeland says she expects to see a lot of women — including women of color — on the ballot this year, and in 2021, when Virginians will elect a new governor. Tram Nguyen, with the group New Virginia Majority, said those efforts have important policy implications. "I think that we are in a moment of perhaps a political realignment of what it means to be a Democrat," Nguyen said, "and what it means to champion working families, champion people of color, champion women and young people."